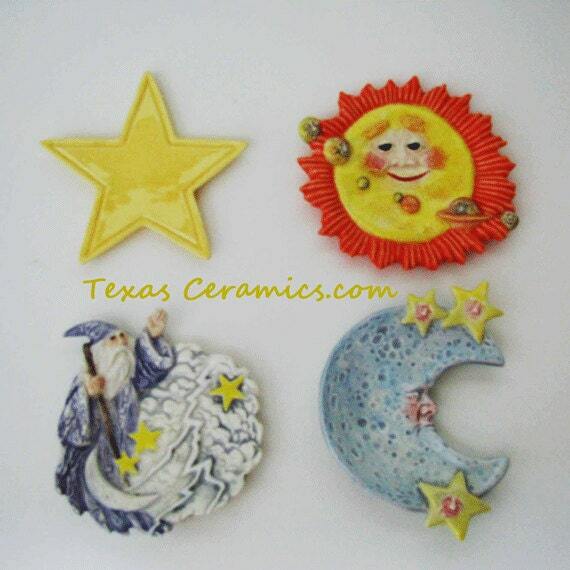 This highly detailed ceramic celestial sun and planets can be used as a tea bag holder, small spoon rest or universal catch all. 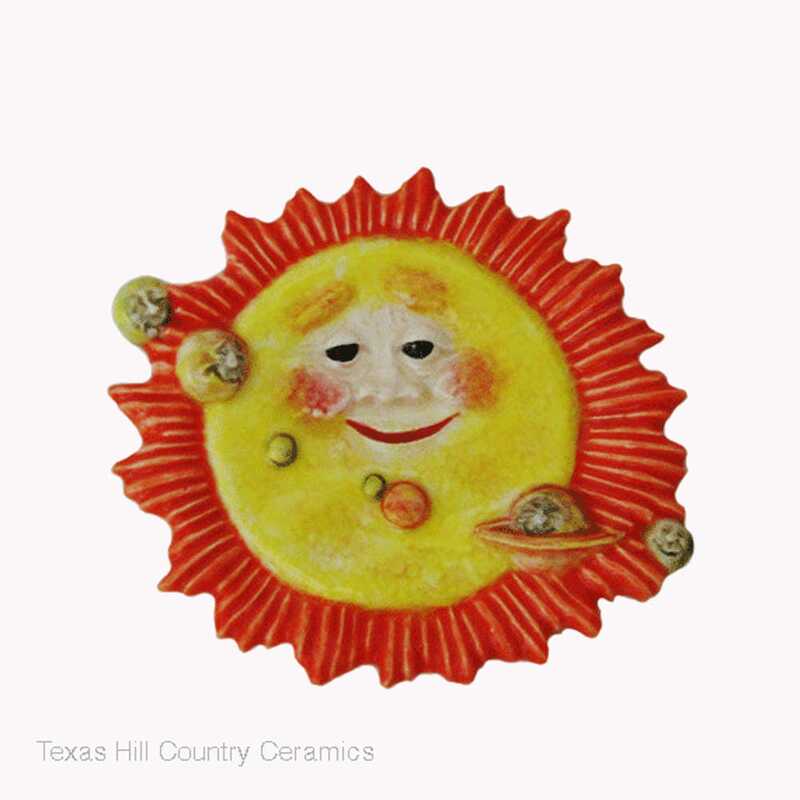 This sun tea rest has a friendly face and is in bright yellow, the outside edge is a lively orange, the planets also have faces that have been detailed in various shade of green, yellow, red and brown. Each one is finished with lead free glaze. 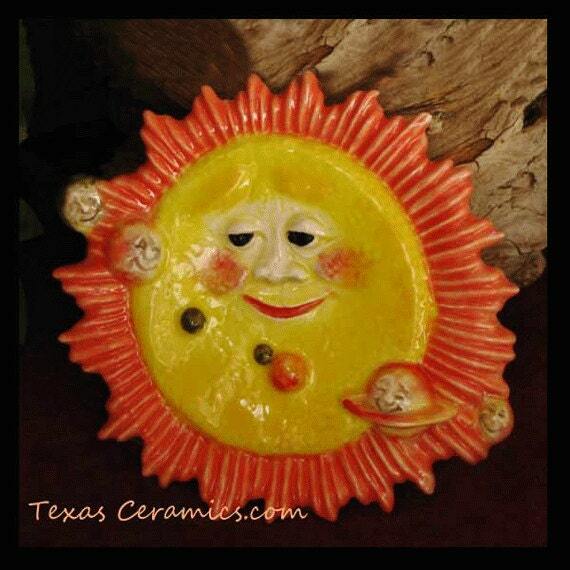 This celestial body is sunny enough to brighten up any counter and help keep spills and messes to a minimum. It can also be used on a desk to help keep it organized or on a bath vanity to hold rings, small pieces of jewelry or small soaps, your imagination is the limit. It can also be used as tableware creating an adventurous and fun party theme. Please keep in mind each tea rest is hand painted and has individual characteristics, no two are exactly alike. Each tea bag holder is hand made of slip cast ceramics for uniformity and kiln fired. 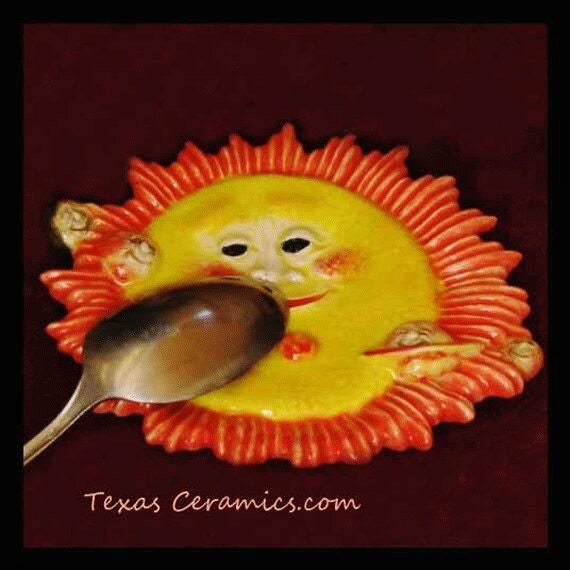 All detail is hand painted with permanent underglaze, non toxic clear glaze is applied with a brush for durability then it is kiln fired for a second time. 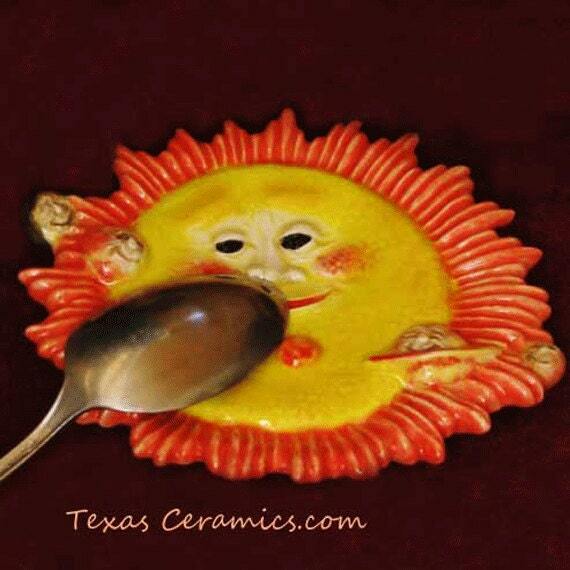 This piece is food safe and dishwasher safe. I have been making tea bag holders since 2004 and have a very large selection of styles and colors. Additional celestial themed items are available as shown in the last photo. This listing is for 1 sun tea bag holder.